We all know that the more students’ practice, the better they play and the longer they stick with it to feel that incredible joy of creating music. As such, the student’s experience within Tonara is just as important to us as the teachers’ experience. Finding the motivation to sit down and practice music can be tedious and tiresome at times for kids, that’s why we’ve worked hard to create features and benefits for students that makes practicing more engaging, interactive and also fun. With features that interact and engage with students, give students real-time feedback, and a level of gamification students are excited for their practice sessions. Overall, Tonara teachers report an increase of over 68% in average practice time since they have started using Tonara. 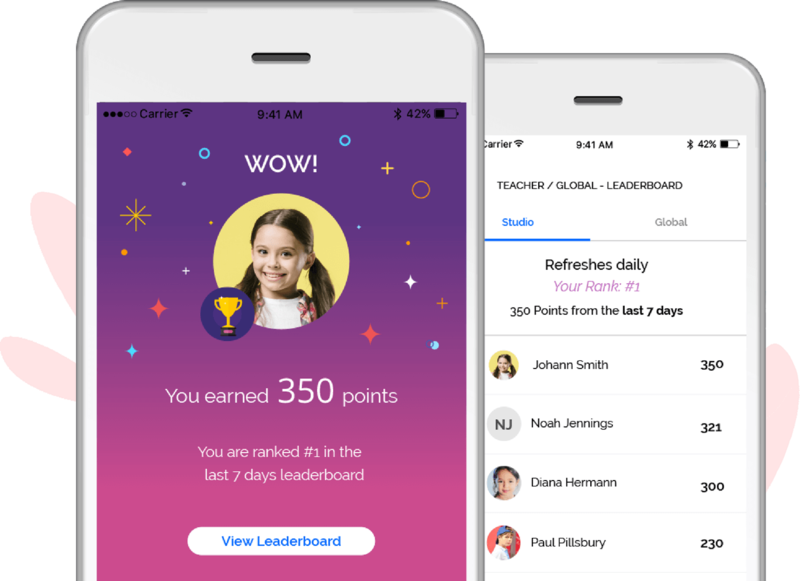 For students, Tonara has a studio & global leaderboard that allows students to always check their standings, and the more they practice the more points they earn. We truly believe in making practice engaging and interactive. We believe in trying to help them see the homework assignments not as something boring which they need to do but rather a fun, interactive activity that they look forward to each day. As students continue to practice with Tonara, they are able to see their own growth and progression with statistics and all the fun rewards that they receive as they practice more and complete more assignments. As teachers continue to interact and engage with their students’ in-between lessons, students are more likely to practice at home. Teachers are able to send detailed assignments for their students as well as talk with them in their private chats to help with specific frustrations and of course share how proud they are of their progress. 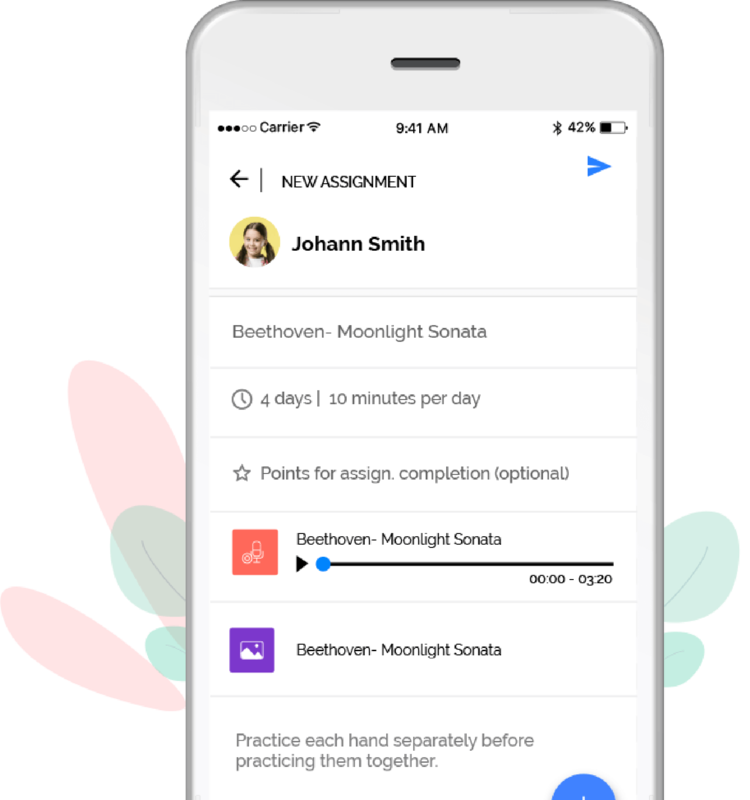 Once a student starts practicing with a ‘Compare Recording’ Assignment our patent AI technology will compare the students playing to the teachers pre-recorded piece. In addition, Tonara will provide the student with real-time feedback on their fluency, pitch, rhythm, and tempo. They can then share their progress with their teacher, get feedback from them and further improve until their next lesson. Enjoy practicing is an important step to ensure kids will continue to learn and improve. Gamification assist in getting kids more involved and excited around practicing. 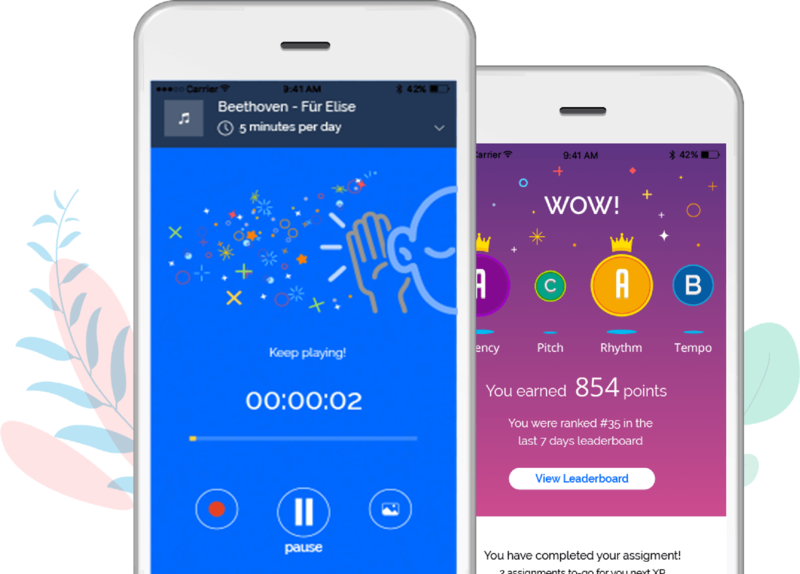 As students practice more, they are able to reach higher XP levels, earn more stickers, and gain more points & climb both their teachers’ and global leaderboard. The more assignments students complete the higher they grow in the XP levels and the more stickers they unlock. The stickers are a great way for teachers and students to communicate with one another for encouragement, support, and help. During each practice session, students earn points based on their playing which allows them to reach higher standings in the global leaderboard. We offer a studio leaderboard for each teacher’s studio where students can see where they stand with their classmates. We also offer a global leaderboard, so students can see where they stand with students from all across the globe.